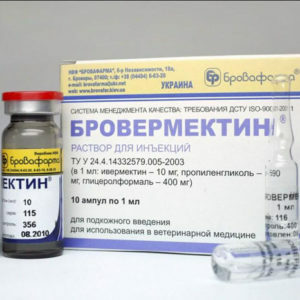 It is indicated for treatment and prevention of cattle (calves), sheep, goats, pigs, rabbits, carnivores, poultry affected by eimerias. For the treatment and prevention of inflammatory processes of the uterus in cows, sheep and goats after delivery of obstetric aid, caesarean section, operative separation of the afterbirth, with postpartum endometritis. 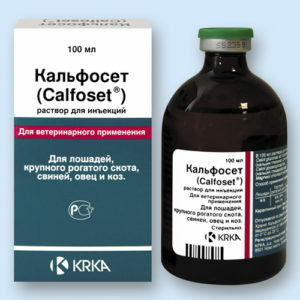 Catosal – a stimulant of a metabolism and a tonic. The active substances, which are part of the preparation Catosal, have a stimulating effect on the metabolic processes (protein, carbohydrate, fat metabolism), increase the resistance of the organism to unfavorable factors, promote the growth and development of animals. The cathosal is intended for animals and birds: as a tonic at birth in cows, sows and prevention of postpartum complications (tetany, postpartum paresis); As a tonic for overexertion and increased activity in horses before the competition for 2 – 3 days; Young growth to increase the body's resistance to various diseases; As an additional remedy for diseases caused by deficiency in the body of calcium and magnesium; To increase muscle activity. For lubrication of udders for prevention and treatment of dryness, cracks, abrasions, erosions and other diseases. 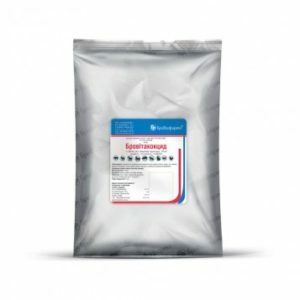 Treatment and prevention of cattle, sheep, pigs, chickens in cases of ectoparasitic lesions (ixodids and sarcopthoid mites, lice, withers, bloodsuckers, dipterous insects). 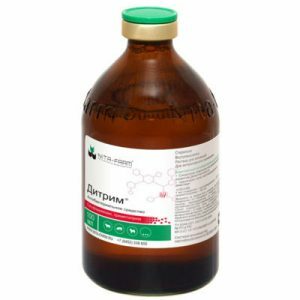 Ditrim is prescribed cattle, pigs, horses and dogs for the treatment of bacterial infections, respiratory organs, gastrointestinal tract and genitourinary system, the causative agents of which are sensitive to sulfadimezin and trimethoprim.